From Friday 27 July to 12 August (10am – 9pm everyday) why not come and visit the RYA at the Weymouth Bayside Festival, Weymouth and join in the fun and festivities of the Olympic Games. The RYA’s Sail for Gold ‘Our Sporting Life – Sail for Gold’ Olympic and Paralympic heritage exhibition will be on display where you can take a look back over 112 years of British sailing history. You will also have the opportunity to take a closer look at two Olympic class boats, the Laser, being sailed by Paul Goodison and the Finn, the class that Ben Ainslie is sailing in, in his bid for a fourth Olympic Gold medal. There will also be some fun quizzes for you to take part in, have your picture taken on our winners’ podium, or post your good luck messages for the team on our message board. You can also learn more about getting into sailing or improving your skills. The Bayside Festival is 17 days of live entertainment, display acts and exhibitions, as well as bars and food stalls and stunning sea views. The “one and only” Chesney Hawkes, the world famous Team Extreme and the international Military “Black Cats” display are just a few of the acts that will be attending. Enjoy a cruise on MV Balmoral, Natural England’s Jurassic Coast Display, the Royal Marines Climbing Wall and over 100 retailers and exhibitors, the Weymouth Bayside Festival has something for everyone! Over in the Weymouth Live site ‘Beach Sports Arena’, the RYA with SailLaser, Weymouth College and OTC, will be providing ‘Have a go / taster sessions’ for those of you who want to get out on the water and try sailing or windsurfing for yourself. Sessions will be taking place from approximately 10am to 6pm every day and lifejackets and wetsuits will be provided, so why not give it a try? There are just three more sleeps, two more days and some 60 hours to go until the RYA’s Sail for Gold ‘Push the Boat Out’ day takes place. 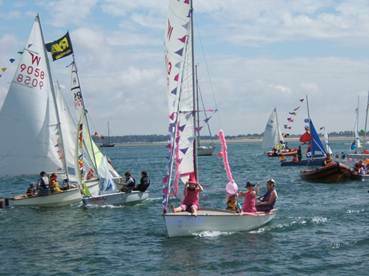 Taking place this Saturday 21 July, just one week ahead of the start of the London 2012 sailing events in Weymouth and Portland, thousands of people and hundreds of clubs, centres and marinas across the country are all primed to take part in ‘Push the Boat Out’ day. There are a whole host of events lined up including treasure hunts, cruises, fancy dress parades, mini Olympics and much more to celebrate and cheer on the British Sailing Team and showcase boating to the nation. ‘Push the Boat Out’ day supporters Clipper Events, Dee Caffari Racing, Neilson, Tall Ship Adventures, Endeavour Sailing, On the Water, RYA Sailability, Premier Marinas and the Ocean Youth Trust North are also geared up for the day when they will be waving flags, dressing boats and getting in to the spirit of the day. If you want to get involved then check out the Sail for Gold events calendar and see what’s going on near you or you could just get out on the water with friends and family and show your support. “It really doesn’t matter what you decide to do on the day we just want as many people as possible to take to the water and help create an amazing spectacle. Whatever you do, just have fun and don’t forget to share your photos and videos on the Sail for Gold Facebook page”, commented Celia Edgington, RYA Sail for Gold co-ordinator. All the best videos and photos posted on the Facebook page will also be used as part of a commemorative video of the day. With the PSP Southampton Boat Show just around the corner the RYA is delighted to announce that once again we can offer our Member’s tickets to the Show at the special price of £12.00. Whether you like taking to the water in a powerboat, yacht, RIB, or personal; watercraft, the PSP Southampton Boat show has something for you and, what’s more, kids can go free when accompanied by a paying adult†. So the show makes for a great family day out too. There are over 600 craft to look around just on dry land and a further 350 boats will be moored in the purpose built marina. Whilst in the halls you’ll be able to check out the latest technology and buy kit from over 200 retailers. You can visit the RYA at EO37 where we will have all the latest advice and information to help you get started or improve your boating, as well as launches, events and celebrations. 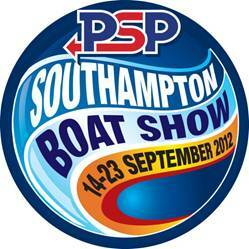 Look out for more information on the RYA at the PSP Southampton Boat Show coming soon. In order to take advantage of this special RYA member ticket offer visit the RYA website members benefits pages to find out more. Clubs and centres across the country are celebrating having successfully secured over £1 million of funding in total, through the second round of Sport England’s Inspired Facilities Fund. From refurbished changing rooms to new pontoons, the funding will help 24 sailing venues to refurbish or upgrade their facilities making them accessible for the whole community. 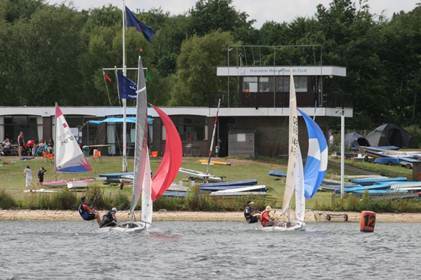 “We are really pleased to see so many clubs being successful and sailing being so well represented in this round” said Graham Manchester, RYA Strategic Lead on Adult Participation. Part of Places People Play, Sport England’s programme to deliver a London 2012 legacy of increased mass participation in sport, Inspired Facilities is investing £50 million of National Lottery funding in up to 1000 community sports projects between 2011 and 2014. One club to be awarded funding is Burton Sailing Club which has been awarded almost £50,000 to put towards a bespoke training centre. “We are over the moon to have been successful and we will now be able to expand our training facilities. 2012 really has been a landmark year for our club as not only have we become a Volvo Champion Club but we have also achieved our RYA OnBoard status.” explained Keith Pallet, Training Principal at the club. “The demand for courses is increasing all the time and this funding will provide the space and equipment that we need. After London 2012 we hope to inspire even more people of all ages and abilities to get out on the water and give sailing a try”. Rickmansworth Sailing Club in Hertfordshire will be using their £32,000 of funding to replace three of their old pontoons as well as a 25 year old bridge which is badly in need of repair. Graham Manchester concludes: “There are still three more rounds of Sport England Inspired Facilities to apply so if your club facilities are looking tired and an investment would increase usage and community activity you should consider this fund. It offers a great chance in the Olympic year for a lasting legacy in our sport”. The RYA and the powerboat racing community were deeply shocked to hear of the tragic death of Will Nocker whilst racing at the Class One Grand Prix in Gabon, West Africa over the weekend (14/15 July 2012). Will was an enthusiastic and successful competitor in the UK, racing in the Honda Formula Four Stroke Series between 2004 and 2006. It was triple Olympic sailing gold medallist Ben Ainslie who on 19 May, some 54 days ago, left Lands End for the first leg of the 2012 Olympic Torch Relay and since that time numerous sailors and boaters of all ages have carried the Olympic flame with more sailors still to come. 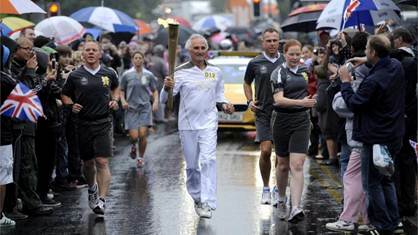 Last Friday (6 July), 1964, Olympic silver medallist Keith Musto (pictured) took to the streets of Colchester when he ran his leg of the relay and we have a whole host of other sailors taking their turn over the coming week. On Thursday 12 July, Skandia Team GBR Performance Squad sailor Katrina Hughes will be running the Torch into the Weymouth and Portland National Sailing Academy, the venue for the Olympic and Paralympic sailing regattas, before handing over to double Olympic Gold medallist Rodney Pattison who will take the flame from the academy by boat towards Weymouth Beach. On Friday 13 July, Skandia Team GBR Performance Squad Finn sailor, Giles Scott will be running his leg in Portland, before heading to Swanage when inspirational quadriplegic sailor Geoff Holt will take his turn carrying the Torch. Then on 15 July the Torch heads to Portsmouth when RYA OnBoard volunteer Margaret Hyde takes her turn in the relay line up. Also on July 15, Paralympic GB sailor Alexandra Rickham, will be taking the Torch through Bridgemary, then on 22 July, the day after the RYA’s Sail for Gold Push the Boat Out day, the Torch heads to Erith Sailing Club, when club sailor Aaron Reynolds will be sailing it over the river. “We are really proud of all the amazing sailors, volunteers and boating enthusiasts who have had the opportunity and honour to run with the Olympic Torch and I would like to encourage everybody to come and cheer them on as they run their various part of the Olympic Torch Relay” commented Celia Edgington, RYA Sail for Gold co-ordinator. Want to know more about the sailors of Team GB then look out for the new RYA ‘Home of the British Sailing Team’ website which goes live on Monday 16 July.